In 1976 the Grand Union supermarket in Wayne, New Jersey, started giving out race cards with every purchase. Each card represented a horse that was scheduled to race every other Friday night at 7:30 pm on Channel 9, WROR. The idea was to collect a card for every horse in the race; if you had a card on the winning horse, and if that card had a star when you scratched away the silver, you could win the big ten grand. Just like that -- a woman like my mother could be rich. I was 14 years old in 1976, the year that my mother tried to quit smoking for the first time. She, Pat Taylor, came from a long line of smokers. At Grandma's house, there was an ashtray next to every chair -- even a stand-up ashtray next to the toilet. If you stood on Grandma's lawn in summer, the house, with all its windows open, appeared to be on fire. These weren't the kind of smokers a person could get mad at either because my mother's family began smoking long before those medical warnings appeared on the side of every pack. They came of age in a generation of feel-good smokers, a time when three out of every four people in the elevator were smoking. 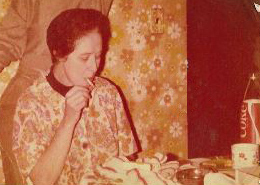 My mother was destined to be a smoker the way some girls were destined to become nuns. Not smoking for my mother was like not sleeping indoors or not speaking English. In our own house, my mother did not keep a stand-up ashtray next to the toilet but there were ashtrays in all the closets whenever she tried to quit. By 1976, the party was over for smokers. We kids used to come home from our junior high health classes and hand our mother laminated photographs of black cancerous lungs: "And your lungs, Mom, are probably worse!" By 1976 it was illegal to advertise cigarettes on television, and by then, maybe only one person was still smoking on the elevator and that person looked guilty. My mother cut down to half a pack a day. To compensate, she allowed herself these other things: exotic jellied candies which she kept hidden behind the tea cups; arm wrestling; and the Grand Union horse races. My mother weighed 110 pounds but could arm wrestle my father, and most who challenged her, to their knees. When wrestling, the tendons jumped out of my mother's neck like taut rope and her head shook and her mouth turned inside out and her skin turned red as her lipstick. It looked as if all the rotten things that ever happened to her might just start shooting right out of her ears. Then, when the knuckles of grown men twice my mother's size were finally ground into the patterns of our vinyl tablecloths, my mother would sit back, brush off her Kresgee's housecoat, and light up a Newport. Newports were mentholated and, according to their ads, transported the smoker into a world of cool blue pleasure. But that didn't happen to my mom. 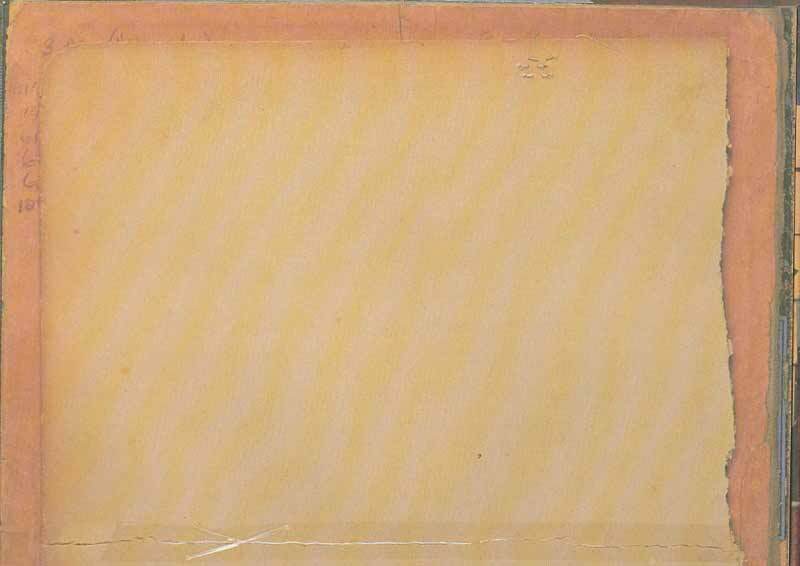 Her washed-out housecoat, the yellowing wallpaper -- all remained exactly the same. The trouble really started when my mother cut down to five Newports a day. For incentive, my father pointed out her non-smoking life expectancy on his life insurance charts. A non-smoker lived 30% longer. "Smokers," he told my mother, "gamble with destiny." " My mother was on her knees in front of the screen, mumbling Hail Marys, screaming out horse names. "Hail Mary full of grace the Lord is with thee, GO RENEGADE! Blessed are thou among women and blessed is the fruit of thy womb Jesus, Holy Mary mother of God pray for our sinners now and at the hour -- LET'S GO JUPITER'S MOON!" When Sable McGee made her photo finish she got up and kicked the TV. Sable McGee, one of two cards my mom didn't have. "It's so rigged, Ma!" My older sister told her. "Yeah Ma," I put my arm around her. "You think they printed even one Sable McGee card?" "It's a rip-off Ma; they just want you to buy more groceries." For whatever reason, my mother simply could not accept this. I imagine she went to sleep at night with the Sable McGee card floating above her head. It must have stayed with her, too, when she washed all the dishes, and particularly when she laid her single items onto the Grand Union check-out belt. This was how she began to shop -- by the single item.